Mount Rose conveniently located 23 miles (37 km) from the Reno-Tahoe International Airport. Traffic is usually light and the roads are generally clear until one gets to the upper elevations in the mountains. Mount Rose is located a short drive from the Reno-Tahoe International Airports. Look for Mount Rose ski resort on left. 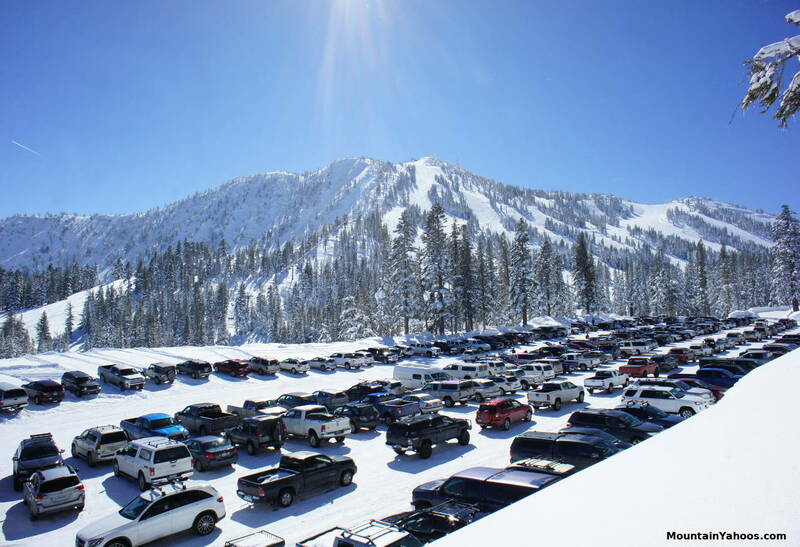 Mount Rose has parking at each of its two mountain base lodges, main lodge and Winters Creek Lodge. The lots at Main Lodge are a labyrinth of multiple levels. On heavy snow seasons, signs are barely visible and you may find a GPS helpful in navigating out at the end of the day. There is a single parking lot at Winters Creek Lodge. Parking at the Mount Rose main lodge. One lot is shown here. There are multiple levels of parking with lots at each level.